Initially, during exercise, the number of some immune cells in the bloodstream can increase dramatically by up to 10 times, especially "natural killer cells" which deal with infections. Debunking the 'myth' that strenuous exercise increases infection risk by suppressing the immune system, a new study says that competing in endurance sports like marathon running may actually be beneficial for upping immunity. 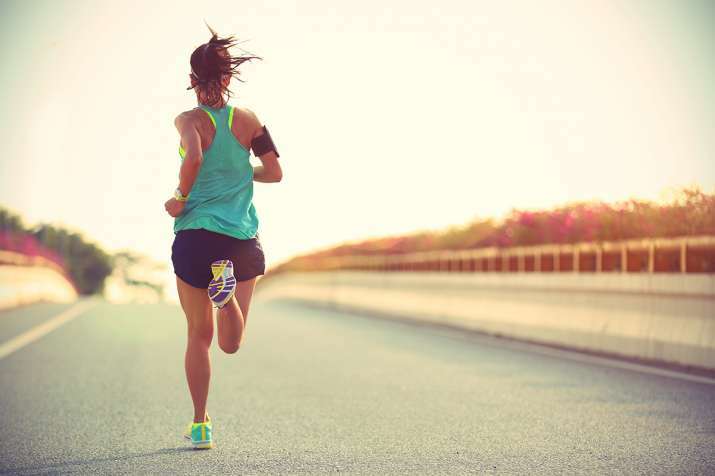 "It is increasingly clear that changes happening to your immune system after a strenuous bout of exercise do not leave your body immune-suppressed," said study co-author John Campbell from University of Bath in Britain. "In fact, evidence now suggests that your immune system is boosted after exercise -- for example we know that exercise can improve your immune response to a flu jab," Campbell added. In a detailed analysis of research articles that have been published since the 1980s, this new review study, published in the journal Frontiers in Immunology, has reinterpreted the findings. The researchers explained that for competitors taking part in endurance sports, exercise causes immune cells to change in two ways. After exercise, some cells in the bloodstream decrease substantially -- sometimes falling to levels lower than before exercise started, and this can last for several hours. However strong evidence suggests that this does not mean that cells have been 'lost' or 'destroyed', but rather that they move to other sites in the body that are more likely to become infected, such as the lungs, according to the study. The researchers, therefore, suggested that low numbers of immune cells in the bloodstream in the hours after exercise, far from being a sign of immune-suppression, are in fact a signal that these cells, primed by exercise, are working in other parts of the body. "The findings from our analysis emphasise that people should not be put off exercise for fear that it will dampen their immune system. Clearly, the benefits of exercise, including endurance sports, outweigh any negative effects which people may perceive," study co-author James Turner from University of Bath said.